NEW YORK -- Police investigating the mysterious deaths of two Saudi Arabian sisters whose bound bodies washed up in New York City last week say they arrived from Fairfax, Virginia, on Sept. 1. Police said that credit card records show 16-year-old Tala Farea and 23-year-old Rotana Farea first stopped in Washington, D.C., and Philadelphia. CBS News correspondent Jericka Duncan reports investigators have been working to retrace the sisters' movements through credit card transactions and video surveillance. A source told CBS News police are using a phone number belonging to the sisters to ping their whereabouts off local cell phone towers. Police are working to determine the exact cause of death but say their bodies had no obvious trauma to suggest they jumped from a bridge. However, law enforcement sources say the New York Police Department is now leaning toward suicide as a possible cause of death. The sisters were last seen in Fairfax on Aug. 24. Their bodies were discovered Oct. 24 on the Manhattan waterfront. Police say there were no signs of trauma and it appeared that they were alive when they went into the water. 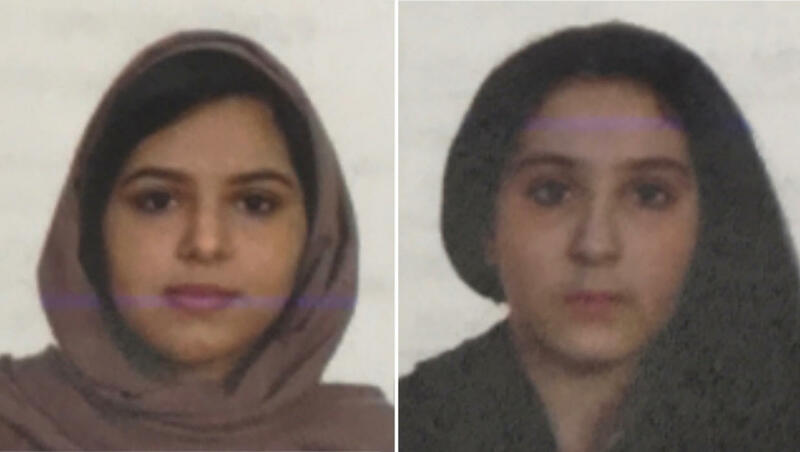 The New York Police Department says there's no evidence the sisters went anywhere else after arriving in New York. Police wouldn't say how they traveled or where they stayed. They were reported missing in Fairfax on Sept. 12.